Oh the weather outside is frightful, again! In honor of the athletes and their incredible hard work, we say cheers to you! Here’s a tipple that’s creamy and a goes down a little too easily. I can’t decide which name I prefer so I’ll just use both. Combine the ice, vodka, kahlua and ameretto in a blender until the ice has been crushed into tiny pieces. Add 2 shots of baileys and 1 shot of milk to each glass. Swirl together, sip, relax and let the games begin. 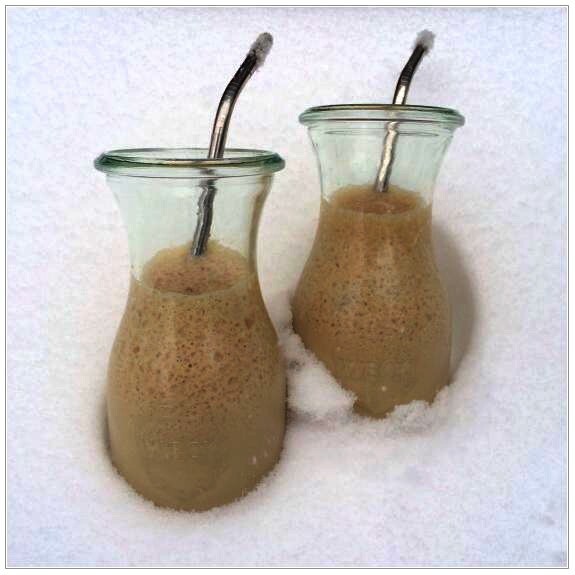 Oooh, a little side note, if you are in the middle of a snow storm, set out a container to catch some fresh snow and try pouring the liquors ove that instead of bltzing with ice. Cathy, I originally made it with cream and it was amazing. I think I’ll add it back ti the recipe.